MILTON, Ont. 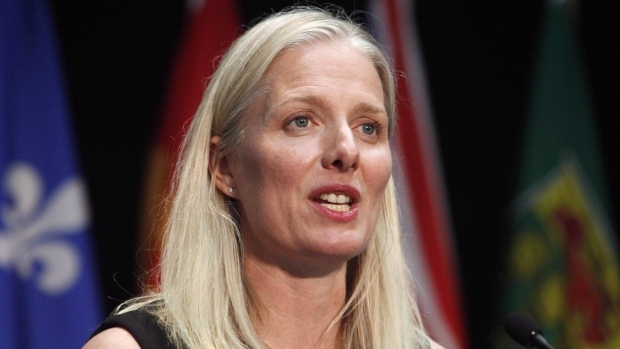 -- Environment Minister Catherine McKenna says the federal government plans to disburse money from a climate fund directly to Ontario institutions and businesses after the provincial government cancelled its climate program. Speaking at Rockwool insulation plant in Milton, Ont. Thursday, McKenna said the remaining $420 million pending for Ontario from the Low Carbon Economy Fund will go to cities, hospitals, universities, schools, and businesses to help with efficiency programs and other emission-reduction efforts. "Our hope would have been to work with the provincial government on fighting pollution, tackling climate change, helping businesses with clean solutions, and helping Ontarians save money, but Mr. Ford has taken a different path, making polluting free, and cancelling hundreds of projects across communities in Ontario." The federal government established the $2 billion fund to help provinces reduce greenhouse gas emissions and help meet Canada's Paris Agreement commitments. Ontario's share came into question after Premier Doug Ford scrapped the province's cap and trade program and cancelled climate funding. The federal government has said it will impose a carbon price on provinces that don't establish their own and then distribute the funds directly to residents. "If provincial governments under conservative leadership are going to step back, we are going to step up. We owe it to Ontarians to support projects they have developed," said McKenna. 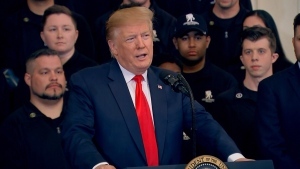 One environmental group applauded the federal government's move, comparing it to the work being done in the U.S. to bypass the Trump administration on climate issues. "This is good news for maintaining momentum on greening Ontario's economy," Keith Stewart, a senior energy strategist Greenpeace Canada, said in an emailed statement. "Just like communities dealing with (U.S. President Donald) Trump south of the border, Ontarians are going to have to find creative ways to work around a Premier who can't or won't recognize the urgency of the climate crisis."